Regardless of the wide colloquial affectations, cannabis remains a contentious issue. 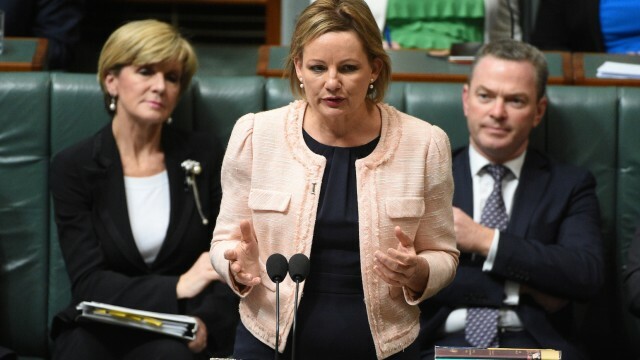 Pot has re-sparked debate, as the new Health Minister, Sussan Ley, has confirmed the Government is in the process of making final draft amendments which would allow cannabis to be grown for medicinal and scientific purposes in Australia. Fewer things can polarise a community as increased access to something so draped in propagandised misunderstanding. Western, predominantly Christian societies (like ours) have for many years attached a strong negative stigma to any drug that they categorise as illicit. When it comes to cannabis, however, the reality is far more grey than the stock standard, black and white approach to the green substance in the blue eyes of the law. Particularly when we start to look at the enormous potential that it has for both medical treatment and scientific research. As the only thing on the table are amendments to open doors to medical and scientific applications versus full decriminalisation, it’s important that we understand why it was criminalised in the first place as the resulting stigma is still likely to rear it’s ugly head when we get down to the logistics of medical and scientific uses in Australia. As Greens leader Richard Di Natale has already indicated, the amendments will assist in creating supply, however, to get the product into the hands of the end patient is a different matter altogether. So why is it actually illegal in Australia? The short answer is that we simply followed the example of other Western societies. The 1925 Geneva Convention covered, among other things, the legality of a number of drugs as well as their applications for scientific and medicinal purposes. The original agenda only looked to focus on opium and coca (primary ingredients of heroin and cocaine). Cannabis was a last minute tack on to the conversation. A decision was struck to ban the recreational use of all three drugs, but not to impede medical or scientific uses. Following this, the Federal Government requested that all the states follow suit with legislative bans on recreational use, which the states enacted over the progressing years. These moves were made not in response to a perceived cannabis issue in Australia, nor as a result of independent research proving the dangers, even recreationally; this was simply a case of Australia following the example of other Western nations under an assumption that they had performed their own due diligence. When the 60’s rolled around, everything changed. The individual states and territories listed cannabis under their respective Poisons legislation effectively rendering medical use illegal. The law regarding Cannabis has changed at different stages since from state to state as the responsibility for its classification falls under state jurisdiction. Most states currently have some level of decriminalisation associated with minor offenses related to the recreational use of Cannabis. However, the Federal Poisons Standard of 2009 still lists Cannabis as a Schedule 9 Drug (Prohibited Substance) alongside Heroin, MDMA and LSD; meanwhile Cocaine is less prohibited, classified as Schedule 8 as it is considered to have legitimate medical uses. The debate over the recreational illegality is a debate for another day; however it is one that we need to have at some stage. If we were to look at Colorado (one of two states in the US to have legalised recreational use) as a case study, in the first twelve months of legality they were able to report a drop in violent crime (2.2 percent), drop in burglaries (9.5 percent), drop in property crime (8.9 percent), drop in road fatalities (3 percent) and an influx of $40.9 million in tax revenue from January 2014 to October 2014 (not including licenses or fees for dispensaries). Oh, and it can assist in treating that oft-heard ice epidemic we’re suffering under the boot of. There is credible research suggesting that cannabis can be used to help deal with the withdrawal symptoms associated with both methamphetamine and opioid addiction. Particularly when you consider that even the Medical Journal of Australia reports that cannabis rates only 0.8/3 on the physical dependence scale, compared to 1.6 for alcohol, 1.8 for tobacco and 3 for heroin. As Di Natale said, this development is but a small step; we haven’t quite worked out how to get the medicine into the patient’s hand. There is a double edged sword at play here that is very much part of the problem, both historically and when looking to the future. As it stands, states and territories of Australia are not legally allowed to grow or import cannabis for medical or scientific purposes, despite some already expressing a desire to do so. So whilst some level of cannabis research and even treatment in patients does occur already, it’s extremely limited due to difficulties in accessing the drug. The proposed amendments we are now looking at will remove this significant obstacle. The other side of the coin is that the actual legality, with respect to obtaining the drug, still remains a state-based issue. However the Federal Government is also looking to pass the Regulator of Medicinal Cannabis Bill, which will provide a national framework for the regulation, production and use of medicinal cannabis, and cannabis-related products for participating states. It will still be a decision for each state as to whether they will modify their own legislation to allow for medical use. Ironically, the state with the biggest reputation for cannabis use as well as a strong history of a soft legal approach to the drug, South Australia, has indicated that they will not be taking advantage of these developments and allowing clinical trials, for the time-being at least. Meanwhile, both Victoria and NSW want to be onboard as soon as possible. With a framework and strategy that appears to have bipartisan support, as well as strong populist support from the community, it’s difficult to find a downside. The potential advances in not only medicinal use but also of research are significant. It potentially could go a long way to improving the quality of life for a large cross-section of suffering Australians. It’s time to leave the unjustified stigma of the past behind, in a medical and scientific context at least, to embrace a slightly greener future.